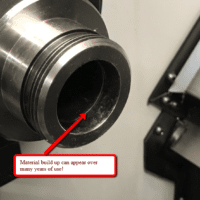 Expanding Collet Case Study » Rovi Products, Inc.
For starters, Bob could not use a live center to support the other end, as he had to do machine work on the front face of the part. As you can see in the photo above, this collet is not split all the way back to the shoulder. 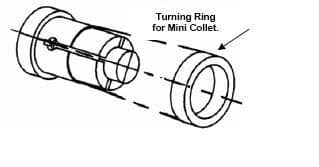 The reason for this is, the expanding collet expands primarily up at the front. The back (Toward the shoulder) is used for support. 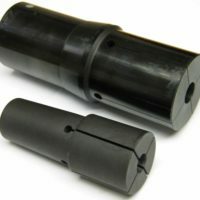 This gives the collet more rigidity, which will eliminate the chatter that Bob was experiencing. 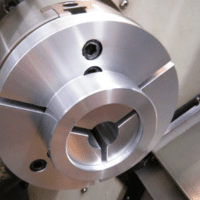 Please feel free to contact us with your workholding applications.